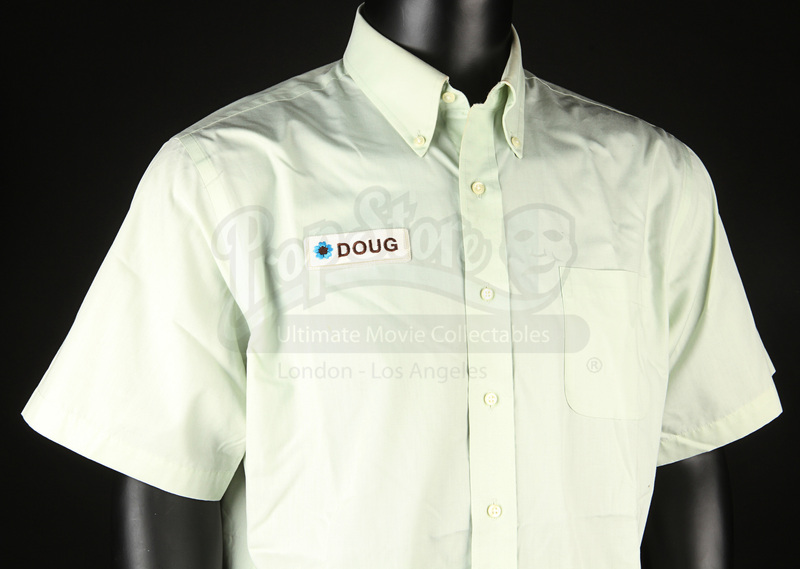 Doug’s (Sean William Scott) shirt worn in the production of Steven Conrad’s 2008 comedy The Promotion. 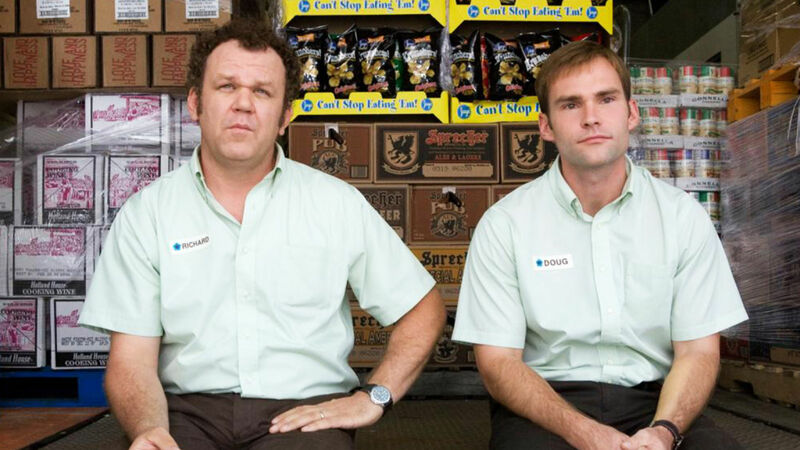 Eager to win a managerial position at a new supermarket, assistant manager Doug soon finds himself in competition with new assistant manager Richard (John C. Reilly). 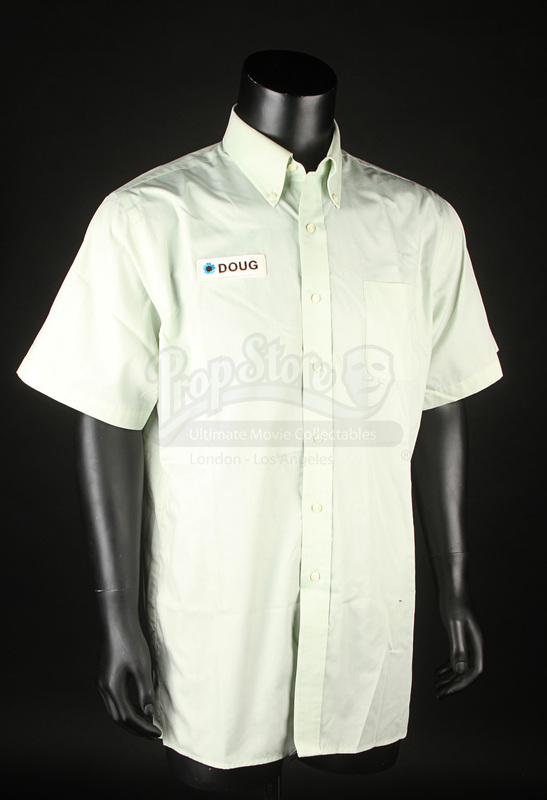 This shirt and others like it were worn by Doug as he worked at the Donaldson’s supermarket chain in Chicago. 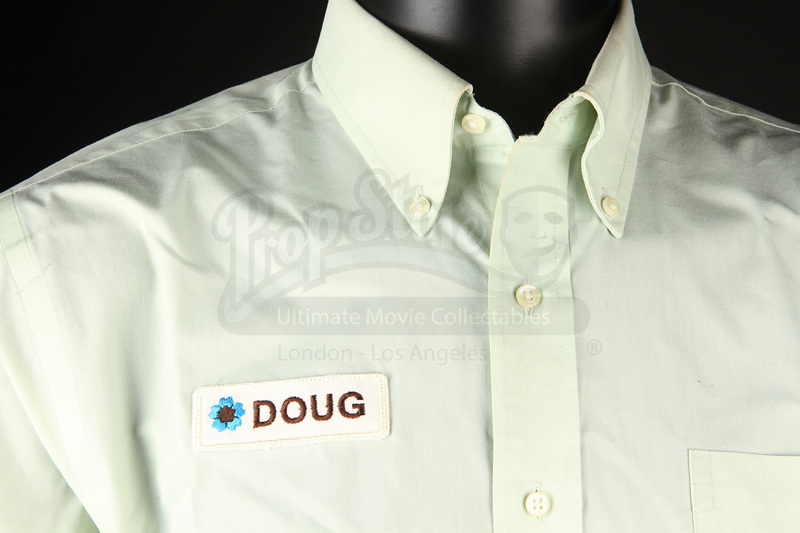 Made of apple green cotton, the shirt features a stitched, embroidered label with the name “Doug” in bold brown font alongside a blue and brown Donaldson’s logo. Displaying some light wear from use, the shirt remains in very good condition. 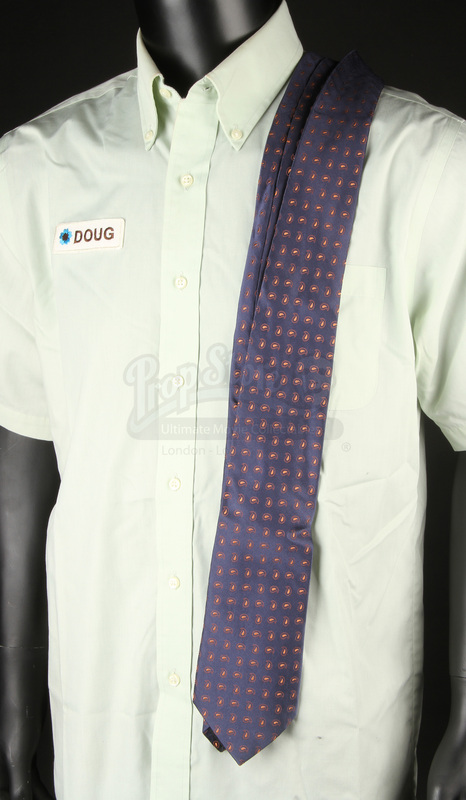 A tie, used in the making of the film, is also included. Materials: Man-Made Woven Fibres, Plastic.